Do We Celebrate International Day of Democracy in Zimbabwe? Friday 15th September 2017 is International Day of Democracy whereby we should be found promoting the need to strengthen democratic means world-wide including Zimbabwe. This would promote peace and stability. It’s a shame we have never celebrated this day for the past 10 years in Zimbabwe just maybe we know we are not a democratic nation. Various activities and events are held around the world to promote democracy on this day. These events could include key speakers such as political leaders heavily involved in supporting and endorsing democratic governments and communities. The United Nations (UN) general assembly decided on November 8, 2007, to mark 15th as the annual date to observe the International Day of Democracy and this was first celebrated in 2008. The main goal and belief is that human rights and the rule of law are best protected in democratic societies backed by the product of a strong active and vocal civil society. In its simplest terms democracy is the belief in freedom and equality between people, or a system of government based on this belief, in which power is either held by elected representatives or directly by the people themselves. Is this what we having in Zimbabwe?. General elections are a way of showing that a country is democratic one. Although we have elections in Zimbabwe we are not yet a democratic country. We hide behind a finger. We cannot talk confidently when we have had the same President for the past 37 years suffering from corruption which paralyzed our economy and have severely tarnished our international reputation.Citizens have been made to disappear for being critical to the government, some have lost their lives and many others have scars of violence. 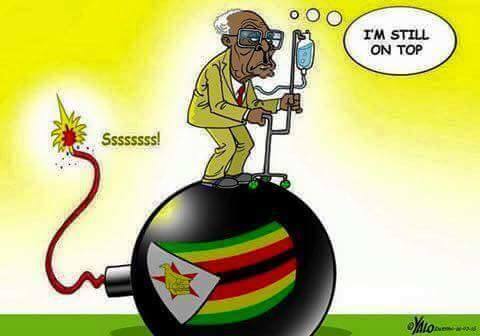 To be honest Zimbabwe is an undemocratic country ruled by a 93 year old autocratic president - who still want to contest for another term in office in the forth coming 2018 elections. He gives lip service to the wishes of the people who are forced to elect him. If he loses, elections results go unannounced for some time like those of 2008 where later people were asked whom they had voted for and if suspected to belong to the opposition were victimised. We live under a regime which qualifies to be described as authoritarian, oppressive and undemocratic. The majority of the citizens are not enjoying the benefits of good governance. Are we not envying Mauritius which was awarded full democracy status and a quiet achiever with strong rule of law? Freedom House, in its 2016 Freedom in the World report named Nigeria, Liberia and Ivory Coast among the countries with the biggest improvements in political rights and civil liberties. History was made in Nigeria in 2015 when an opposition party gained power through elections. How far are we from that in Zimbabwe when we have army commanders who vow not to work under an opposition leader if he wins. Also threats of going back to war are uttered by our leaders. Botswana, Ghana, Cape Verde and Benin have also been lauded as democratic examples. 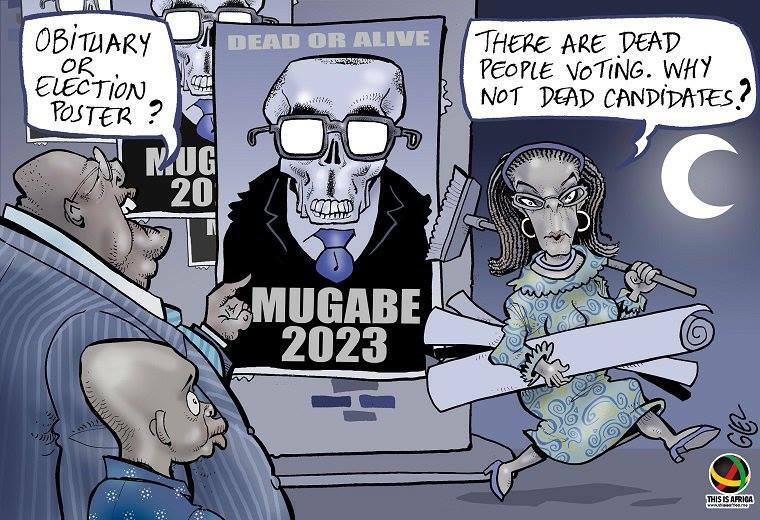 Many African countries - almost 20 including Zimbabwe are holding presidential elections but this does not automatically lead to truly representative governments portraying the will of the people. In Zimbabwe and other parts of Africa, we have authoritarian leadership which has maintained an iron grip on power either by amending laws so as to extend their terms of office, hosting rubber stamp elections or repressing opposition and civil society. How can we enjoy democracy when we have someone who has been in office for almost four decades and as if it's not enough is busy preparing for the wife to take over. If our First Lady, Grace Mugabe, can follow suit Liberia’s Ellen Johnson Sirleaf who became Africa’s first democratically elected female head of state - no one will complain. Also the likes of Joyce Banda, in Malawi Ameenah Gurib -Fakin in Mauritius are good examples. Let's also learn lessons from Tanzania’s Benjamin Mkapa who called for a new, homegrown democracy. He blamed colonialists that they did not prepare Africans for self -democratic rule. Shall we blame the British for that in our case? At the moment people are encouraged to go and register in preparations for elections. This can be the first point as proof of democracy. But how many times have we been voting in Zimbabwe producing results which keeps the same leader in power. Is it truly a reflection of our will - choosing a system of government that respects the separation of powers, fundamental freedoms of thought, religion, expression, association and assembly? Above all do we have Rule of Law? In Zimbabwe, ZANU-PF leadership has long back lost its democratic legitimacy since they are not able to meet the people’s will/needs such as basic services which should be provided to the citizens who are purported to have elected the ruling party. Citizens, after elections, should be rendered good governance as a safety measure and rule of law should prevail - participation by citizens and respect for human rights, sustainable economic opportunity and human development should be major targets. It is surprising in Zimbabwe when we had a landslide victory for 2013 but no good returns for the majority of the people who are said to have voted the government in power. Could we say that this was a sign of a country freely giving a vote of approval to a popular leader, or a sign of coercion? Companies were closed and many become jobless and unemployment is more than 80%. Lack of democracy is usually followed by incumbent leaders who feel threatened by opponents and incite protests.On record Kenya had a case of electoral violence in 2007 which left 1 133 people dead, 600 000 people displaced and involved a wave of sexual violence. In conclusion I would like to say that a very strong opposition is a very good recipe for existence of a healthy democracy and there cannot be true democracy without reform of the electoral system. As we move towards our 2018 elections this should mark the next step in Zimbabwe’s progress towards democracy. I strongly therefore urge the incoming 2018 government to uphold all principles of democracy as it should take part in celebrating this day - International Day of Democracy and in addition together with International Day of Peace.